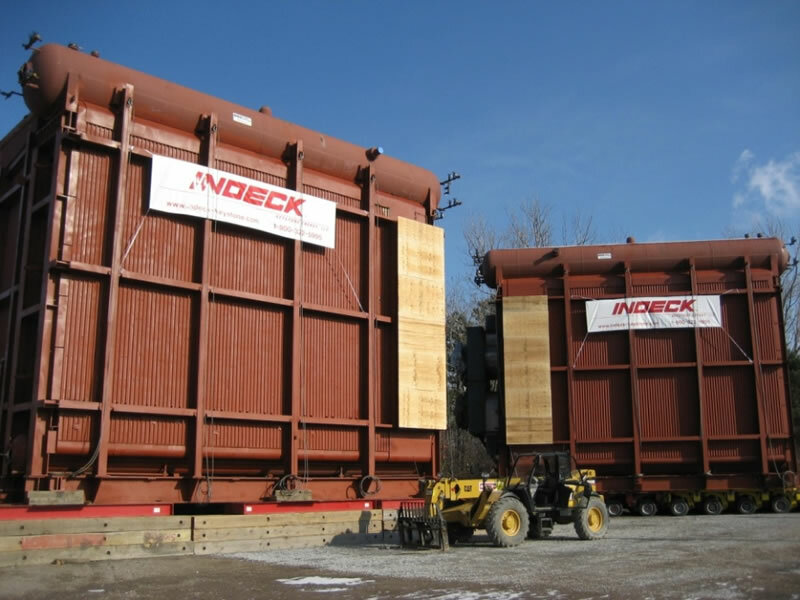 A large Canadian steel producer awarded Indeck Keystone Energy a contract for the supply of two Blast Furnace gas / Coke oven gas fired boilers with auxiliaries as part of a project to build a 70MW combined heat and power generation plant which would convert waste by-product gases into electricity at a steel plant in the Canada . The boiler design is a shop assembled “D” Type package boiler rated at 373,000PPH / 1800 PSIG. Indeck managed the logistical move of the shop assembled boiler weighing 1 million pounds. 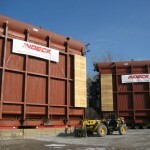 The construction and transportation strategy used by Indeck minimized installation costs and schedule.